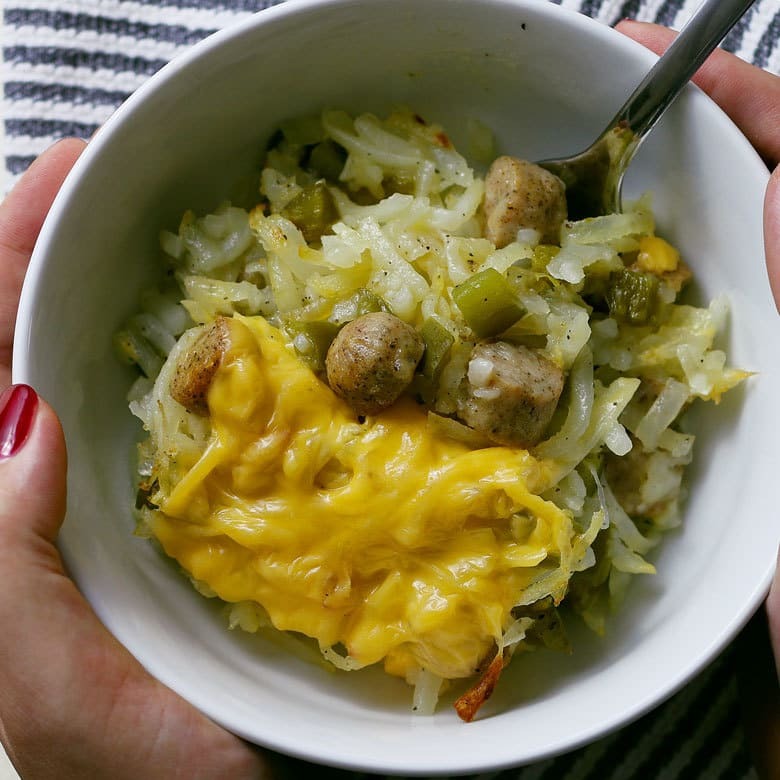 This chicken sausage hash brown breakfast bake is so easy to make that it only takes 5 steps! It’s fast, hearty and the perfect addition to your weekday breakfast menus! Today’s post is brought to you by al fresco and Simply Potatoes. All opinions are my own! Today I am doing something a little different with my recipe. Something really exciting. Usually I create recipes with the goal of making cooking fun and easy for everyone. Today I accepted al fresco natural and Simply Potatoes‘ challenge to do just that, but in only five steps. Mornings are hectic for everyone, whether you’re getting kids ready for school or you’re scrambling to get your own coffee made before work. Great products like al fresco natural and Simply Potatoes are your secret weapon to creating delicious and easy breakfasts. Made with lean, skinless chicken meat, al fresco’s chicken sausage products contain 50% less fat and 30% less sodium than average pork sausage. 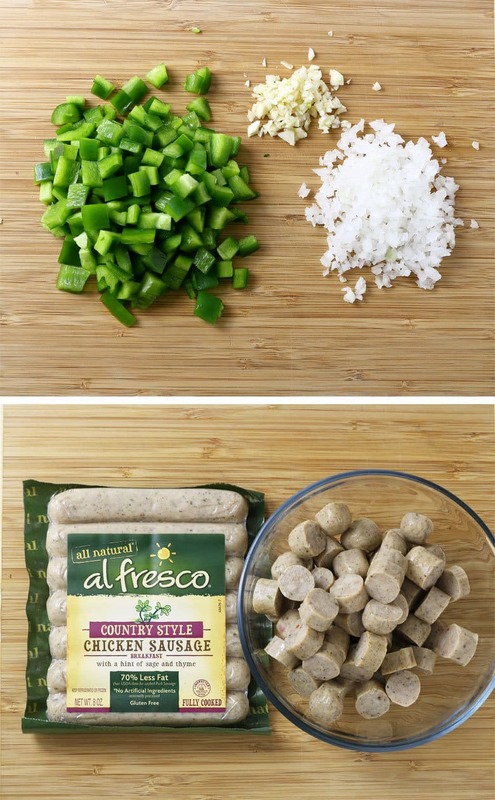 Better yet, all of al fresco’s chicken sausage flavors are gluten-free and are packaged fully cooked – meaning you can enjoy your delicious grilled sausage in minutes. 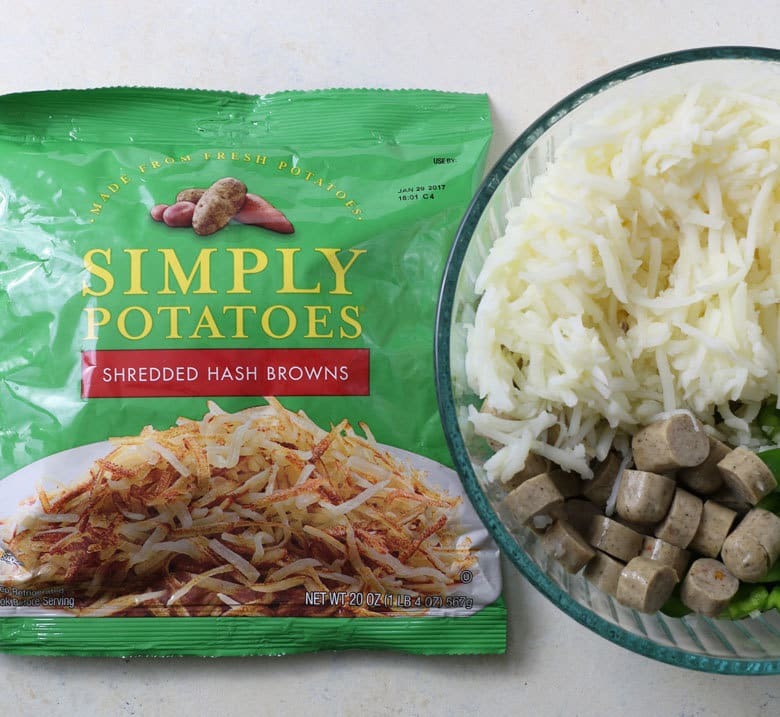 Simply Potatoes are made with fresh, never frozen potatoes and real ingredients. They start with high-quality russet, red and sweet potatoes, which are washed, peeled, prepared, and then rushed to your local grocer for maximum freshness. Both products are right up my alley and perfect additions to my 5-Step Breakfast Challenge. I created this chicken sausage hashbrown breakfast bake using the al fresco country style breakfast sausage and the Simply Potatoes shredded hash browns. I used 4 mini bread loaf pans so you can easily make individual portions. You can also make half batches if you don’t need 4 servings. Cut up your onions, garlic and breakfast sausage. 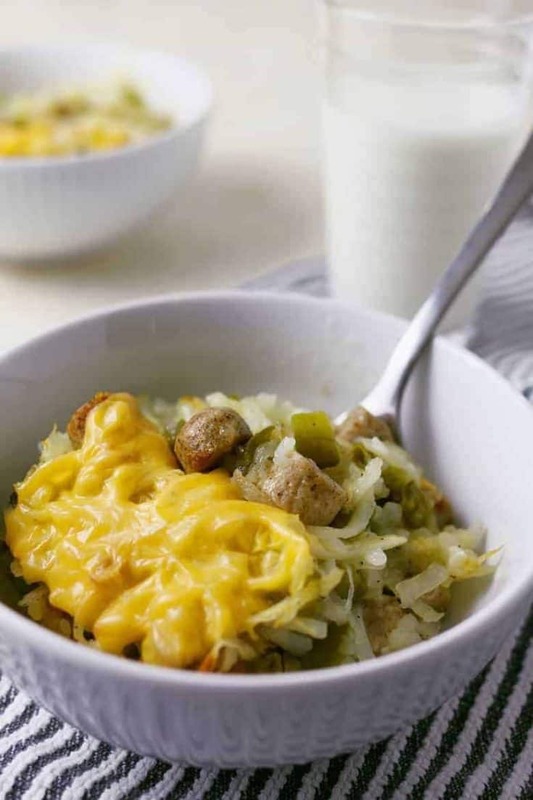 Mix all of the ingredients, except the cheese in a bowl. 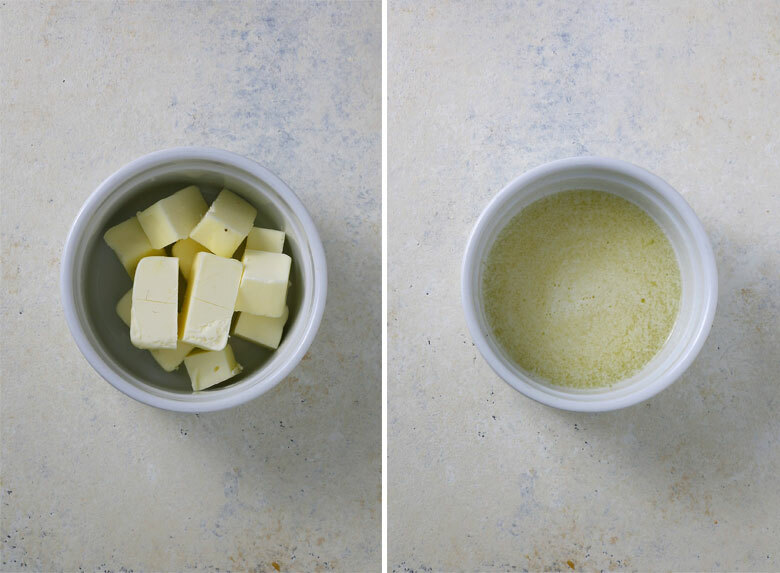 Spoon the hash brown mixture into your mini bread loaf pans and put them in the oven. Cheese gets its own step here. Pull the pans out of the oven when there is 10 minutes left to bake and add the cheese on top. Then pop the loaf pans back in the oven for 10 more minutes. Seriously, this breakfast bake is so easy to make and so delicious that I want to eat it every single day! 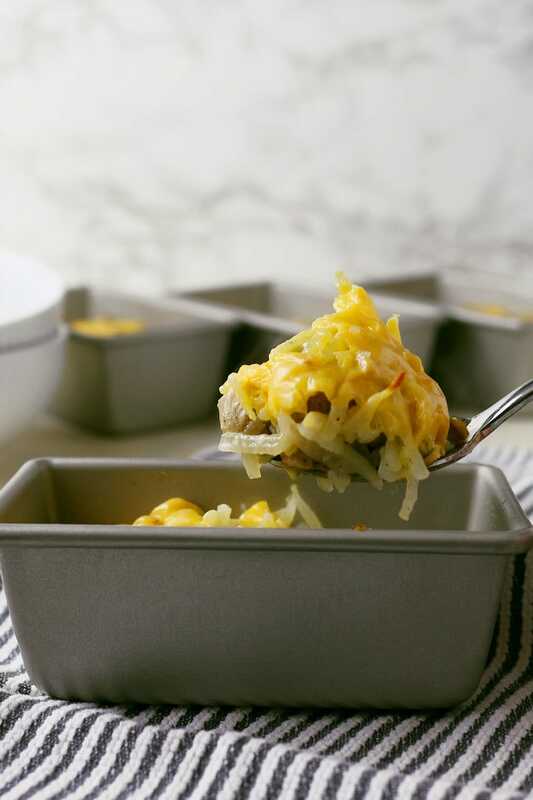 This chicken sausage hash brown breakfast bake is so easy to make that it only takes 5 steps! It's fast, hearty and the perfect addition to your weekday breakfast menus! Dice the breakfast sausage into 1/2 inch pieces. 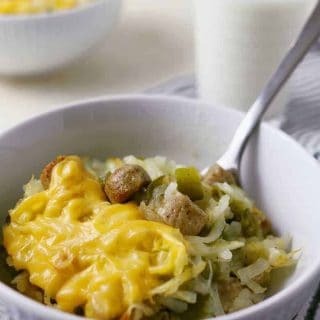 In a large bowl, combine the breakfast sausage, white onion, green bell pepper, hash browns, salt and pepper. Mix well. 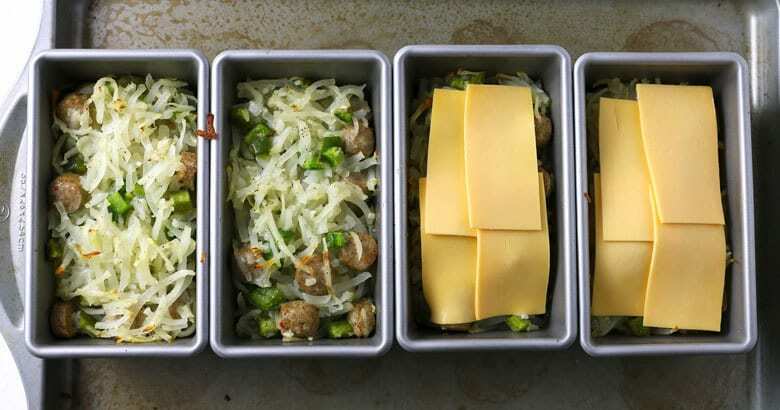 Spoon the hash brown mixture into 4 mini-bread loaf pans. If not non-stick, coat with non-stick spray first. Split each cheese slice in half. 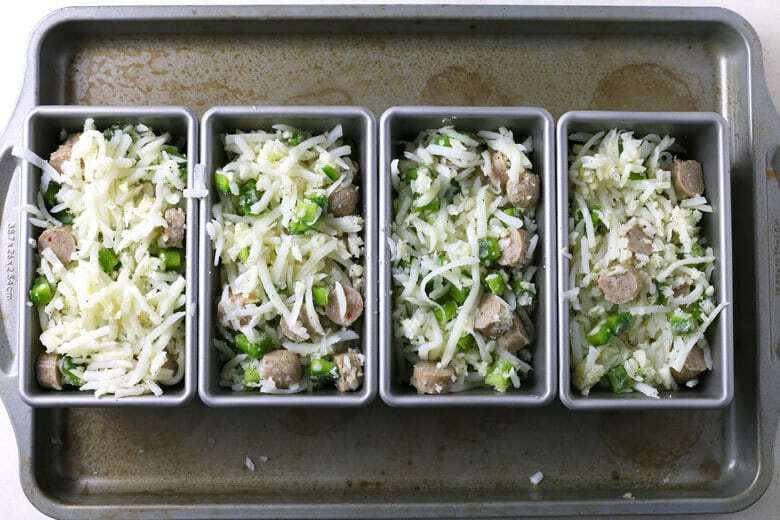 Remove the loaf pans from the oven and place 4 cheese halves on top of each pan. Return to oven and bake for an additional 10 minutes. Disclaimer: Thank you to al fresco and Simply Potatoes for sponsoring this post. Oh I want to wake up to this tomorrow morning for breakfast!!! Oh yum!! I love everything about this!! Looks so delicious!! Love this! I’ve always found that brand’s sausages to be salty, but I think just plain Italian sausage or even Kielbasa would be fabulous in this bake! This looks so cheesy and comforting! We are big food preppers. We are always looking for new breakfast make ahead’s and this looks delicious! Thanks for the recipe! We will be giving this one a try. Always looking for ways to jazz up Breakfast. I just printed a coupon for butter. I think Al Freso will email you a coupon if you sign up for thier newsletter as well.